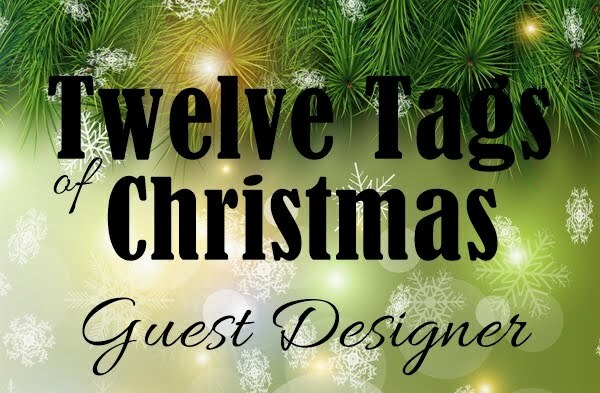 As I have been having a little more time lately to get back in to some of the challenges I used to frequent, I thought I would try and get one done for one of my favourite challenges that has long been neglected . . . Freshly Made Sketches! 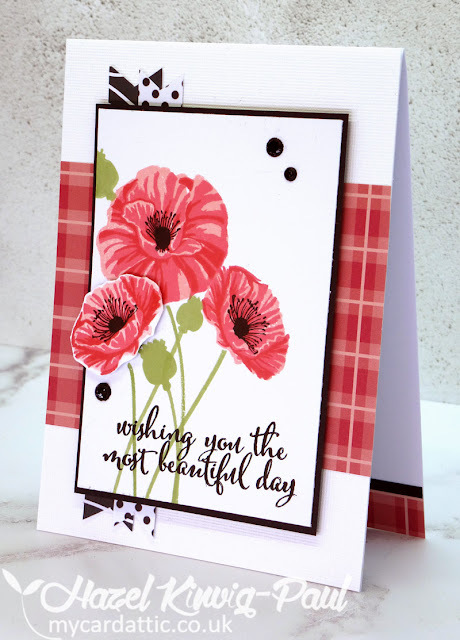 I have missed this challenge and their fabulous sketches and am happy to have a card for it today. As you will see, I have changed the orientation of the sketch and also changed the order of the layers, to make it work better for our (UK) card size, which is narrower than the US A2 size - I actually prefer the aspect ratio of the USA card size - but that is by-the-by. Here is my card. I will list what I used below. 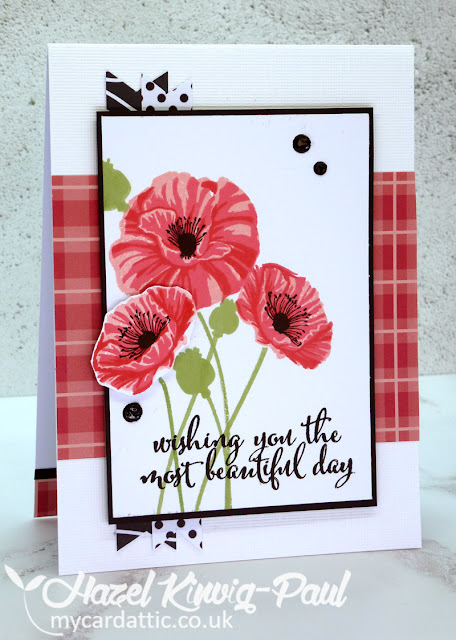 I used Hero Arts 'Color Layering Poppies' and a new set of Altenew Ink Cubes, the sentiment was from same set and the plaid paper was from a My Favorite Things 6x6 pad. I finished the whole thing off with a couple of strips of black and white patterned paper from stash and a few drops of black enamel accents to tie it all together! I really enjoyed making it. I hope you all have a wonderful weekend whatever you are doing and wherever you are! so pretty in those reds, Hazel - i love these stamps but i've had a horrible time getting them lined up - i'll have to keep a pic of your card so i can get better at it - happy st. patrick's day and have a good weekend. Hazel, wow...I wasn't so taken with the sketch when I first saw it...but your tipping it on its side makes for something fabulous. Love the reds and those luscious poppies. Fantastic card dear. Hazel, this may be a near duplicate comment...my netbook is acting up. I meant to say that the sketch didn't grab me when I saw it yesterday...but seeing what you have done by tipping it on its end...WOW...fabulous card. Those reds and the lovely poppies are just stunning. 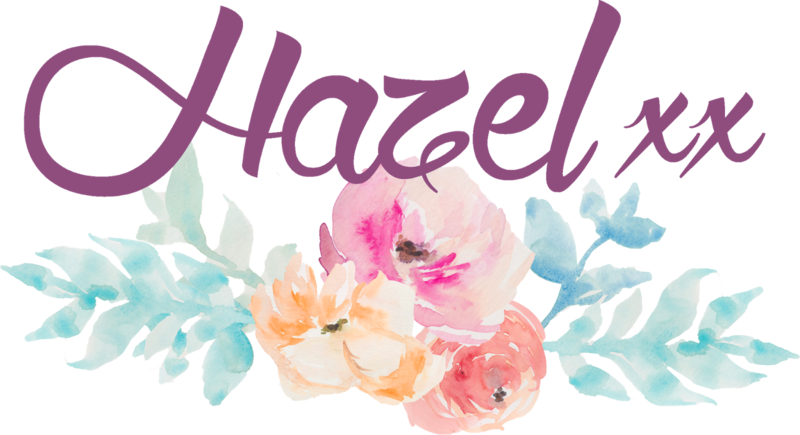 This is gorgeous, Hazel! Your coloring is perfect. 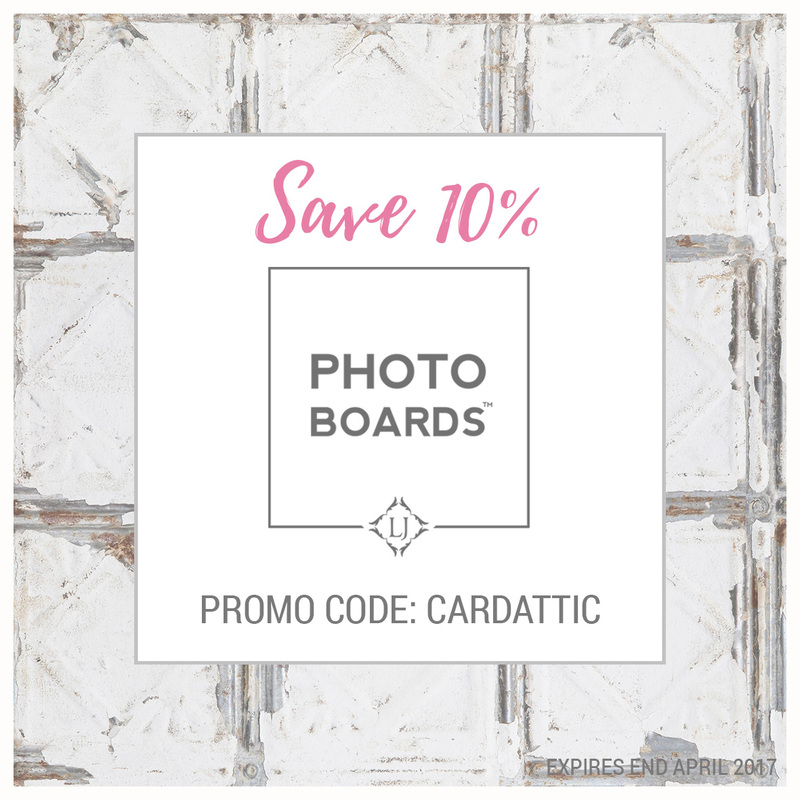 Wow - love the plaid background paper and the bright black and white banners behind it. Those poppies are so awesome. This card is delicious !!! I love how you changed a little sketch! Maki deny decj in his chest! 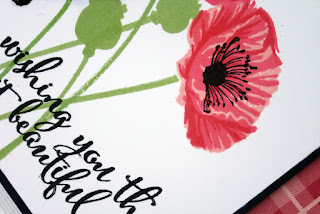 Wonderful card, I love it! Oh so pretty, Hazel! I love those layered poppies! Oh, wow! These flowers are just gorgeous! And I love that dsp behind it. 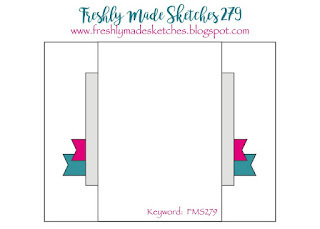 So glad you decided to join us at Freshly Made Sketches again! 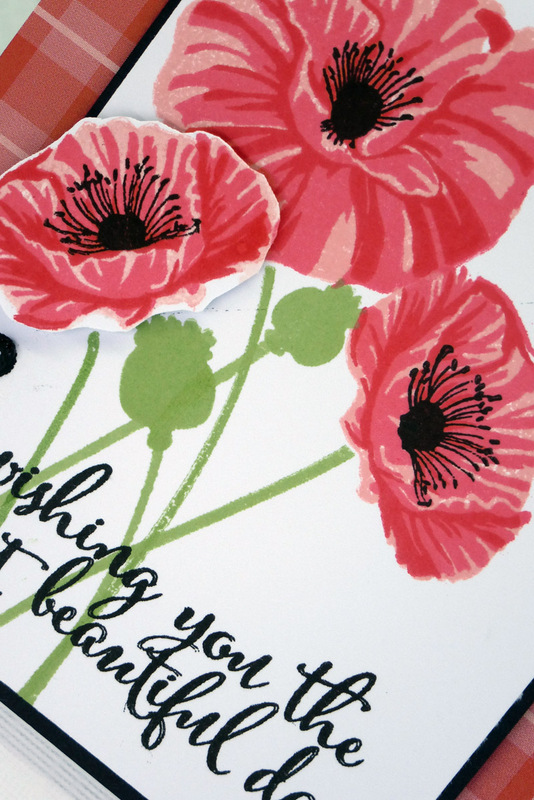 The poppies look so pretty and I love the sentiment! Like how you adapted the sketch to make it work for your card size! Love this card. Thankyou for sharing your talent but do you think you could tell me please where you get your products from in the UK? 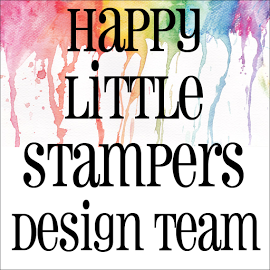 I've searched everywhere for UK stockists of dies and stamps but have no luck lol. Really appreciate it if you can point me in the right direction. X. Thank you for your comment. I do hope you pop back to see my reply (you are a no reply blogger and I can't see if you have a blog either), so this is the only way I can help. I get most of my supplies from 'Seven Hills Crafts', here in the UK and sometimes, if I can't get what I want here in the UK, I will order from 'Simon Says Stamp' in the USA, but their shipping is quite steep. There are others here too, like, 'Crafty Charlie', 'Sir Stampalot' to name a few, but I find that Seven Hills carries the largest selection of manufacturers. I hope this helps, and hope to see you here again soon. Have a wonderful weekend!